Do you like to draw? Do you like to drink? They go together like peanut butter n' chocolate! 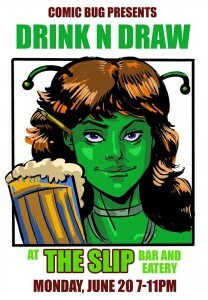 Presenting the FIRST EVER Drink n' Draw at The Slip Bar and Eatery presented by The Comic Bug! 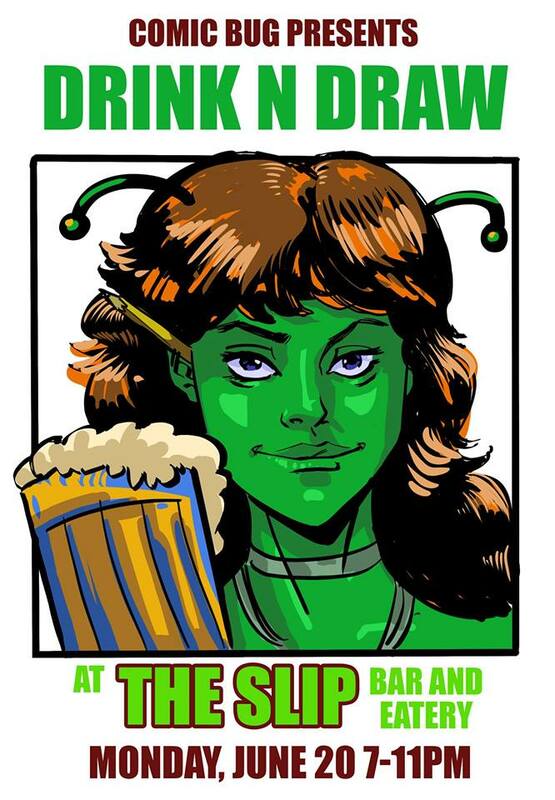 We'll have comic and sci-fi themed DRINK SPECIALS, the amazing Hendo Art posing from 8:00 p.m. to 10:00 p.m. so you can work on your life-drawing and the company of dozens of awesome fellow artists and maybe even a writer or two! LadyBugs, SketchyBugs and Uninitiated Bugs, come on down! Admission is FREE! Drinks will be flowing and pencils and pens will be on fire! Finally, the South Bay has it's own drink and draw gathering! Special thanks to The Slip for having us!